Homemade Buttermilk, Butter and Clarified Butter. 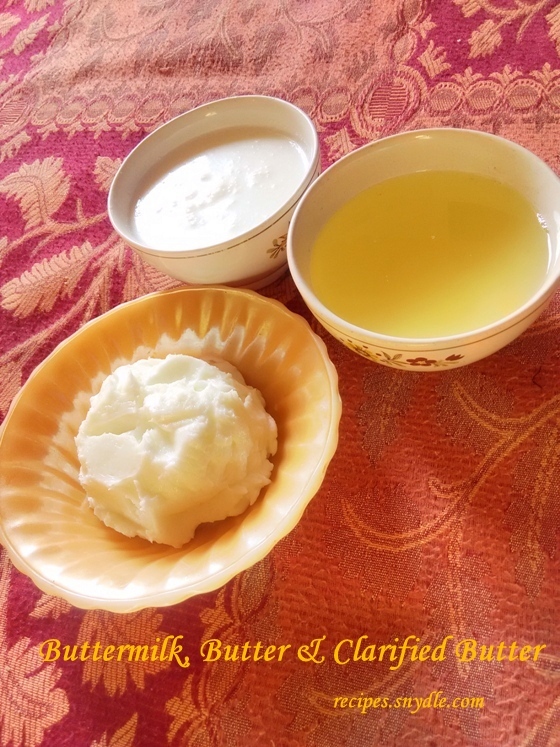 Homemade Buttermilk, Butter and Clarified Butter with step by step pictures. 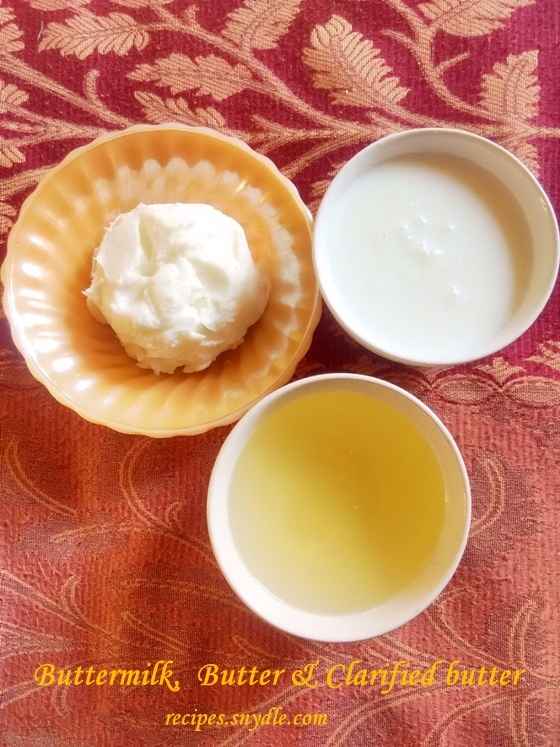 Homemade Butter milk, butter and clarified butter taste succulent and a small number of ingredients are required. Here is the simple and easy homemade recipe for you. Mostly we use packaged buttermilk, butter and clarified butter but you must try it at home as well. You will surely notice the difference. Buttermilk is great for your health as it reduces acidity after spicy meal, reduces fats, helps digestion, protects from dehydration, prevents vitamin deficiency, control high blood pressure and cholesterol. 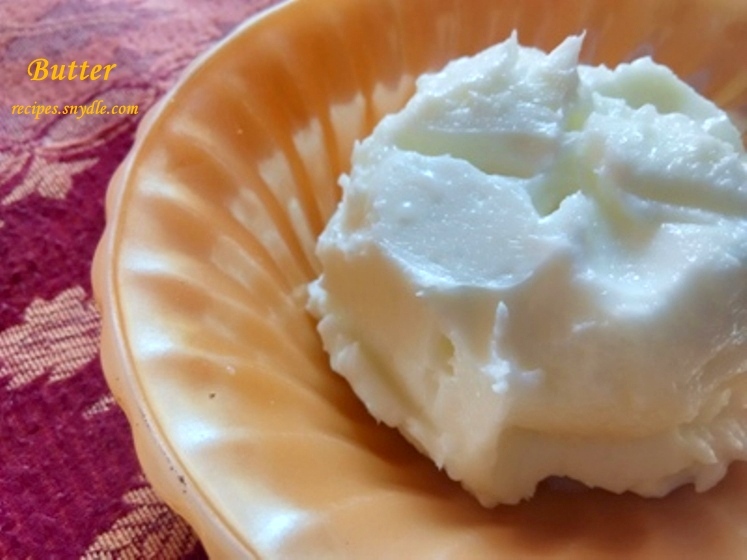 Here I have used cream/malai from the milk and homemade butter; you can use packed cream to make buttermilk and butter. Also, you can use packed butter to make clarified butter/ghee. Add salt if you want. The quantity decreases as you start melting butter to make clarified butter. Indians use clarified butter in great quantity to fry, for seasoning, for pooja and so on. Butter tastes delicious with different types of parathas or on breads and toasts. Buttermilk is preffered more in summers to avoid dehydration. 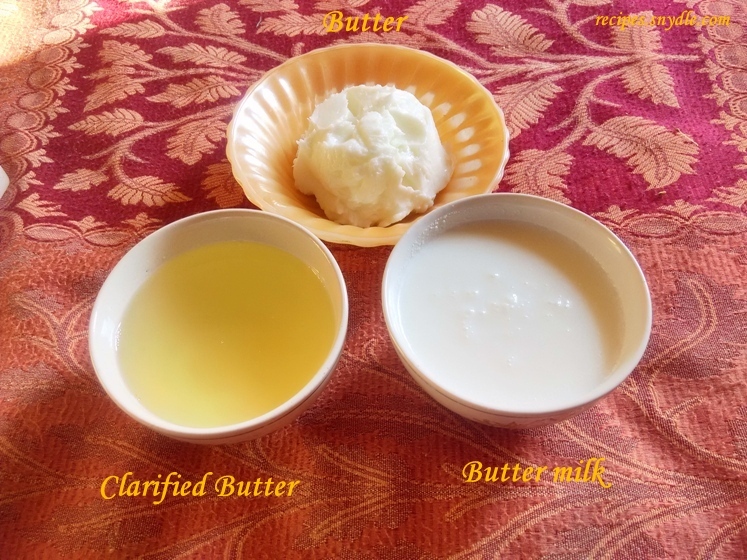 How to make homemade Butter Milk, Butter and Clarified butter/Ghee. Take 2 cups of cream. Here I have used cream from the milk or you can also use readymade cream. 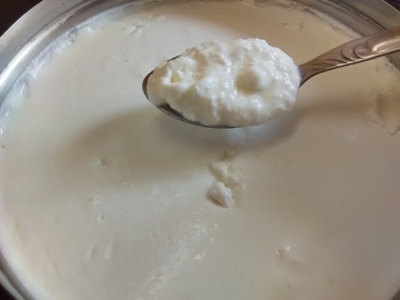 Collect this cream/malai from the milk for 15-20 days or a month. Everyday collect and store this cream/malai in the freezer. 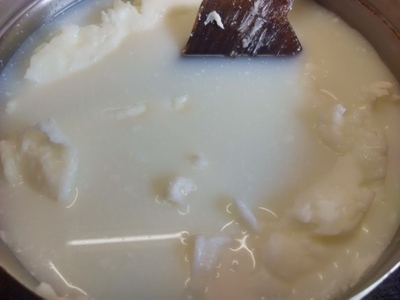 After the cream/malai is collected defreeze it till it gets under room temperature. 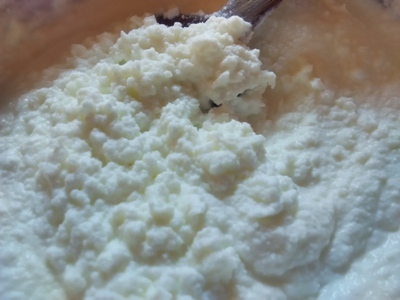 Add yogurt to the defrost cream/malai. Mix it well and leave it for 1 – 2 hours. 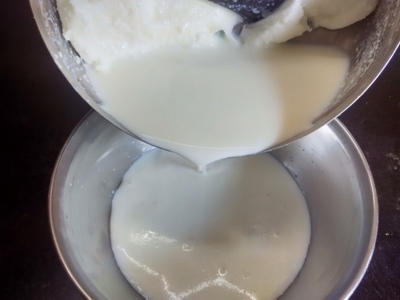 Whisk the cream/malai until it gets smooth and you will notice lumps of butter in the butter milk. 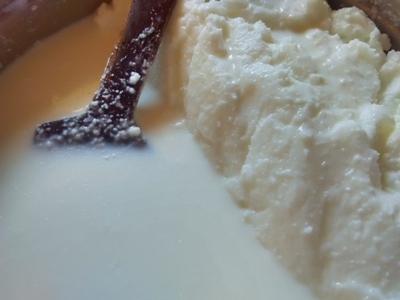 Whisk the cream/malai till the butter get separated from butter milk. 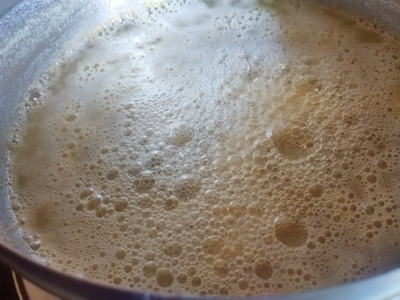 You can also use mixer or food processor to separate buttermilk from butter. Enjoy! Now drain the butter milk from the butter in a bowl. 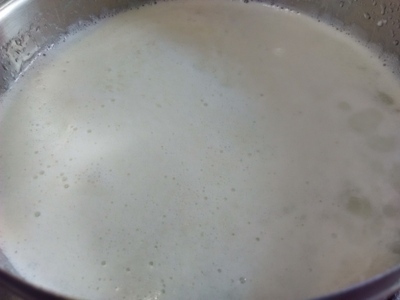 Homemade butter milk is ready. 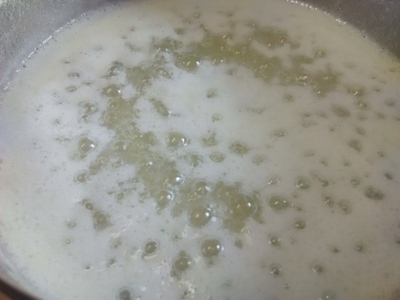 Now take the homemade butter into a bowl, pour water into it and with the help of spatula stir it to rinse and remove excess butter milk from the butter. Than through the water. Repeat this procedure for 2 – 3 times till the butter gets clean. Add a pinch of salt to the butter if you want little salted butter or you can enjoy unsalted homemade butter. Store the homemade butter in refrigerator for 1- 2 weeks. 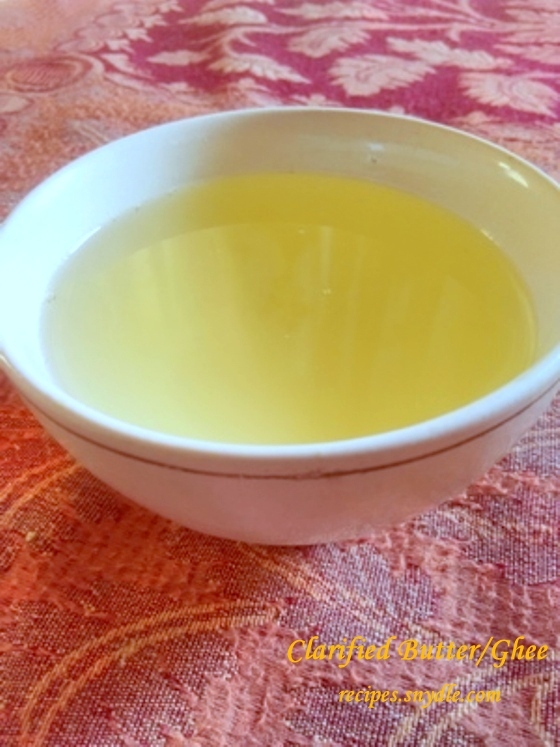 If you want to make homemade clarified butter/ghee than remove the required butter from the bowl and use the remaining butter for making clarified butter/ghee. 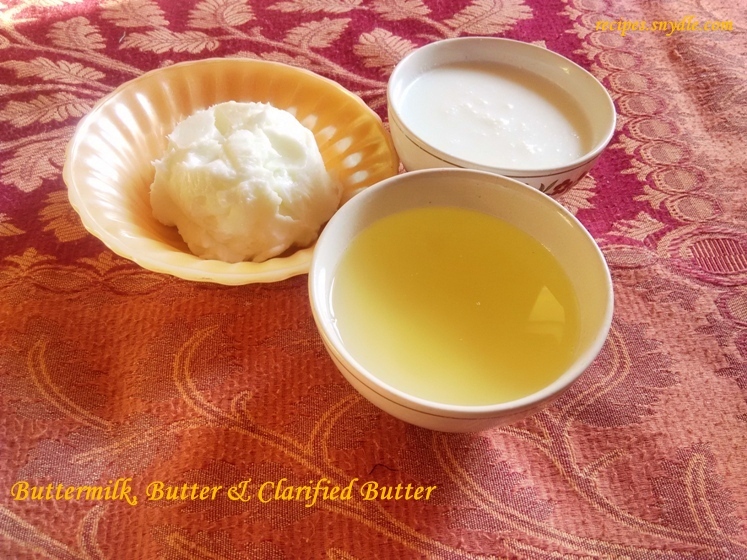 You can also use readymade unsalted butter to make clarified butter/ghee. Place the butter into the cooking vessel. Heat the cooking vessel on low flame. The butter will melt and start boiling on low flame. Be careful do not increase the flame or else the clarified butter/ghee will burn up. You will see solid particle at the bottom of the cooking vessel. Allow it be on low flame till the solid particles at the bottom turns to light brown. Now off the flame. 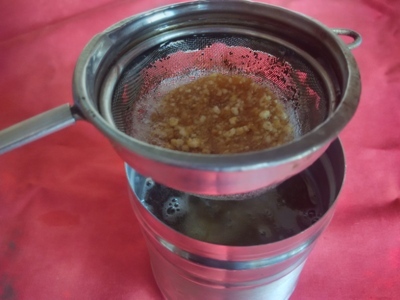 With the help of strainer, strain the melted butter into a container or bowl for the reason that the solid particle will be separated from the melted butter or clarified butter. Allow it to cool at the room temperature and store it into the refrigerator for 3 – months. Homemade clarified butter/ghee is ready. Enjoy! Homemade clarified butter. 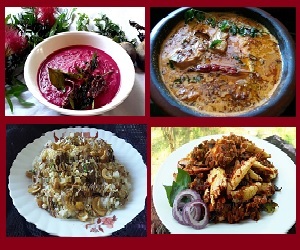 Previous Post: Dahi Bhalle Recipe/Dahi Vada Recipe.